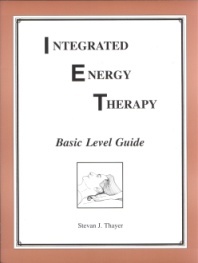 Basic Level - You Can Learn IET! Description: Even though we call this class “basic level” this class provides you with everything you need to do a powerful Integrated Energy Therapy® session on yourself or on another person (either in person or absentee). 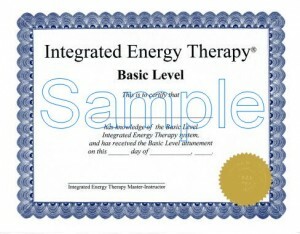 This class has been designed to be a wonderful entry level class for those students wanting to use energy therapy to heal their lives, an ideal class for students wanting to begin an energy therapy practice, and it provides a wonderful complement to other holistic techniques such as Massage, Reiki, and Therapeutic Touch. Only IET Master-Instructors are authorized to teach this class. Basic Entire Class: As a stand-alone complete one day class. Basic level certificate given upon completion. Intensive (Basic & Int & Adv): As part of a 2.5-day “Intensive” class, which offers a complete Basic, Intermediate and Advanced training to the same set of students, allowing an accelerated format. All three levels must be taken. Three certificates are given upon completion. Unified (Basic & Healing Angels): As part of a two-day “Unified” class where Basic and Healing Angels classes are integrated together. This unification allows more time for students to get in touch with the Angelic aspects of the IET Basic level session. Two certificates are given upon completion. Combined (Basic & Pets): As part of a two-day “Combination” class where Basic level and IET for Pets classes are combined, resulting in knowledge of both human and animal energy fields and techniques. Two certificates are given upon completion. To see Basic level classes that are currently scheduled, click HERE.